With summer fast-approaching, we’re looking forward to the many golden opportunities the season presents to get in some thorough (and hopefully outdoor) reading. 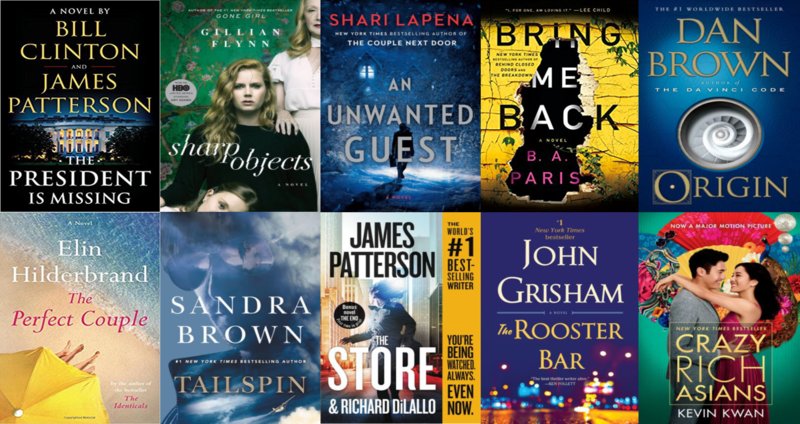 To save you the panic of forgetting to pack a good book, we’ve rounded up 10 exciting new reads we’re looking to tackle poolside – all of which are conveniently available #preFLIGHT at our CIBO Express Gourmet Markets. Set over the course of three days, The President Is Missing sheds a stunning light upon the inner workings and vulnerabilities of our nation. Filled with information that only a former Commander-in-Chief could know, this is the most authentic, terrifying novel to come along in many years. In terminal now. Soon to be an HBO limited series starring Amy Adams, airing July 8, from the #1 New York Times bestselling author of Gone Girl. In terminal now. Jacob and Megan Brandeis have gotten jobs with the mega-successful, ultra-secretive Store. Seems perfect. Seems safe. But their lives are about to become anything but perfect, anything but safe. In terminal now. From New York Times bestselling author Elin Hilderbrand, comes a novel about the many ways family can fill our lives with love…if they don’t kill us first. In terminal June 19th. The new twisty, gripping read from B. A. Paris, the author of the instant New York Times and USA Today bestselling novels, Behind Closed Doors and The Breakdown. In terminal June 19th. New York Times bestselling author John Grisham’s newest legal thriller takes you inside a law firm that’s on shaky ground. In terminal June 19th. The stunningly inventive new novel from the world’s most popular thriller writer Origin is Dan Brown’s most brilliant and entertaining novel to date. In terminal July 17th. When New Yorker Rachel Chu agrees to spend the summer in Singapore with her boyfriend, Nicholas Young, she envisions a humble family home and quality time with the man she hopes to marry. But Nick has failed to give his girlfriend a few key details. One, that his childhood home looks like a palace; two, that he grew up riding in more private planes than cars; and three, that he just happens to be the country’s most eligible bachelor. In terminal July 17th. New York Times bestselling author Sandra Brown returns with a mix of spine tingling suspense and tantalizing romance in this thriller about a daring pilot caught in a race against time. In terminal August 7th. A weekend retreat at a cozy mountain lodge is supposed to be the perfect getaway . . . but when the storm hits, no one is getting away. In terminal August 7th. 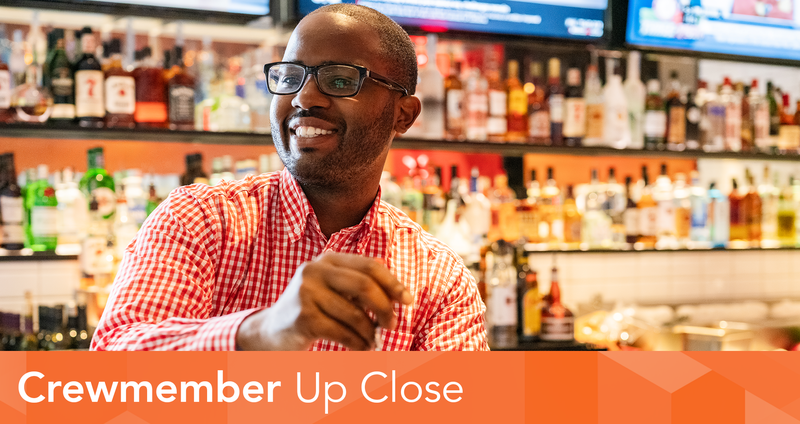 In this installment of Crewmember Up Close, we speak with Jonathan Clark, Server at LOVE Grille (PHL). Specialties from DCA’s ‘Page’ with Chef Billy McCormick DCA executive chef Billy McCormick knows a thing or two about the food scene in the Washington. 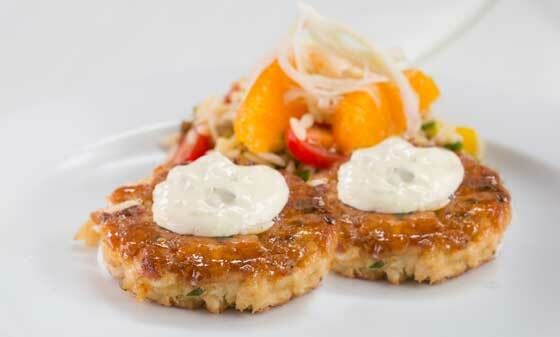 Sky Asian Bistro Wins at PHL! 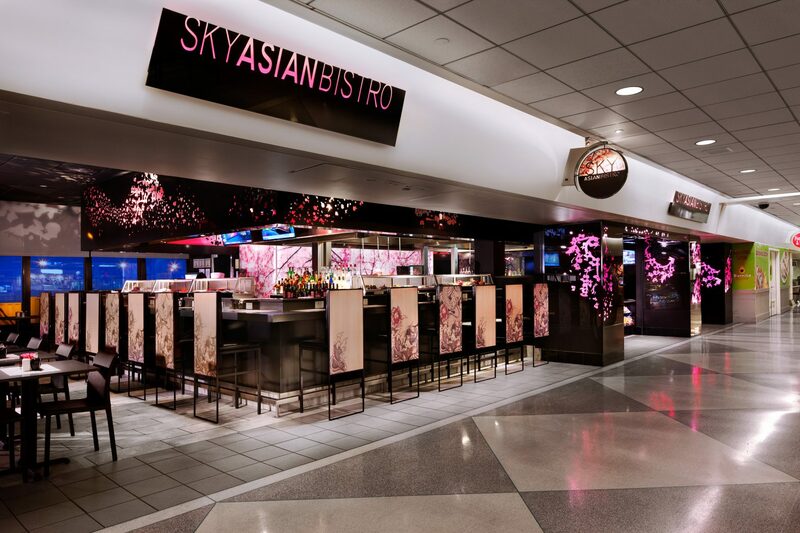 We are tremendously proud to announce that our Sky Asian Bistro concept at Philadelphia International Airport has taken home the Philadelphia Marketplace’s coveted ‘Merchant of the Year’ award!